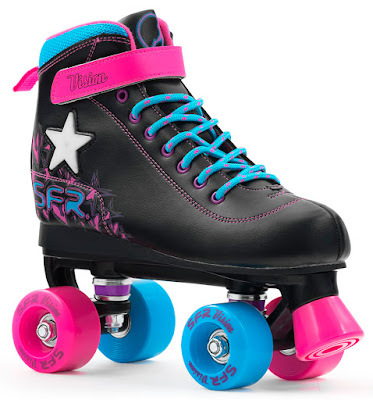 From mid November we have some fun new quad skates hitting the shops! The all-new Vision II Lights! The same great shape and style, with an eye-catching added feature! A quick press of a button switches on a fun flashing star, which is then motion-sensitive, so it lights up and flashes as you skate around. These skates will make fantastic Christmas presents for any youngster that loves to glide around the roller disco in style! Check out the full spec here. NEW ADJUSTABLE INLINE SKATE? THAT'S THE SPIRIT!